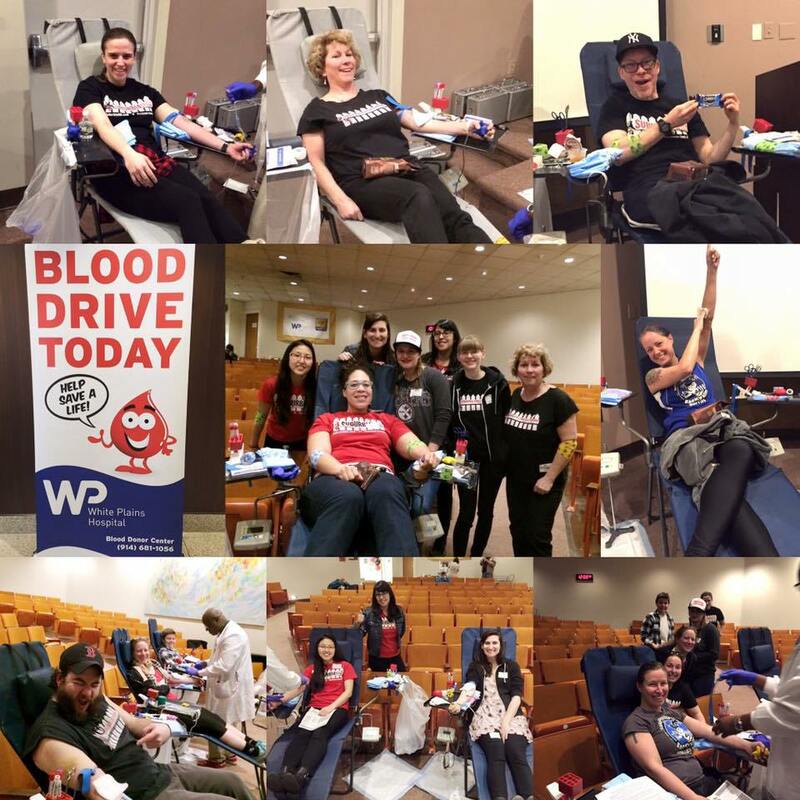 White Plains Hospital Blood Drive a Success! Suburbia Roller Derby and White Plains Rugby Club teamed up again for their semi-annual blood drive to benefit White Plains Hospital. Instead of bleeding from an injury, members of both leagues (plus friends and family) donated blood to save lives on February 20th. Aside from the joy of saving up to 3 lives per pint of blood given, everyone enjoyed watching Jurassic World, the free pound of coffee for donating, and the apple juice and cookies after the donation was over. It was a great success and we look forward to working with the White Plains Rugby Club and helping the Westchester community in the future.